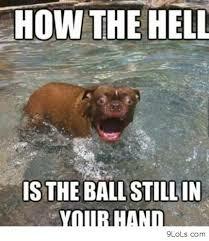 I Wonder If He Needs Three Balls? At my desk with two students, who were coloring pictures of Fluffy, the three-headed dog, from Harry Potter. Haha I’m falling out of my chair too! Any third grader who throws the term “crotch” around, in my opinion, is a winner. Holy… how old are these kids? Passing this one on to my daughter, the fourth grade teacher. Hopefully, her kids know about one crotch vs. three brains…evidently, this is the benchmark of a good teacher. omg. the meme. it’s killing me. Best eyes ever! I swear this is how I look walking around half the time. LOL …… Have tears after laughing so hard….